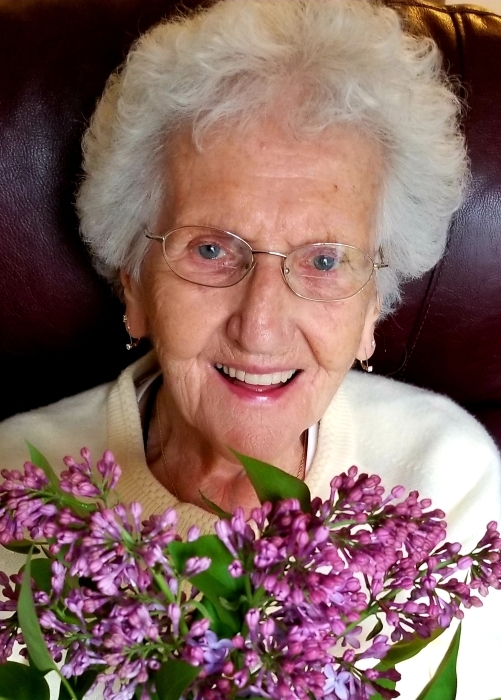 Theresa Veronica (Hajkowski) Pastore, loving Mother and Grammy, passed away peacefully in Leominster on January 20, 2019. She was surrounded in love, with her children by her side. She was 91 years old. Born in Gardner, MA on February 8, 1927, Theresa loved the Big E, baking (known for her “world famous” pies), picking blueberries, cleaning (she really did), fried clams, people-watching, and spoiling her children/grandchildren, family and friends with delicious Polish and Italian food. Theresa is survived by her children – John Anthony Pastore, husband of Vicki J. Brown, of East Kingston, NH; Lynne-Marie Tobias, wife of Gregory Tobias, of Bowdoin, ME; Diane Elaine O’Malley, wife of the late Stephen O’Malley of Leominster, MA; and Suzanne Marie Knudsen, wife of Alexander Knudsen, of Lafayette, NY – and grandchildren William Stephen O’Malley, Emily Stephanie O’Malley, Kara Lynn Knudsen, Jacob Alan Tobias and step-grandson, Adam O’Malley. She is predeceased by her parents, Stanislaw and Matilda Hajkowski, husband John Pastore, who passed in 1989, along with 15 brothers and sisters. On behalf of our Mom and the entire Pastore Family, we would like to extend our sincere appreciation for the extraordinary and compassionate care our Mom received while at Heywood Wakefield Commons in Gardner, UMass Memorial HealthAlliance in Leominster and Life Care of Leominster ... the tender care and many acts of kindness will always be remembered. Relatives and friends are invited to join the family for Calling Hours from 5:00 p.m. to 8:00 p.m. on Friday, January 25th at Wright-Roy Funeral Home, Inc., 109 West St, Leominster, MA 01453. A Mass of Christian Burial will be held at 11:00 a.m. on Saturday January 26th in St. Anna’s Church, 199 Lancaster Street, Leominster,. Burial will follow at St. Leo’s Cemetery, Lancaster Street, Leominster.